﻿ Silk Peeling Powder Review: Does It Really Repair The Skin Damage? Sensai Silk Peeling Powder is marketed as a luxurious foaming cleanser that clears away pore-clogging impurities to reveal smoother, clearer skin with each use. This product is even effective enough to reverse the look of stubborn black heads. Sensai Silk Peeling Powder is a unique powder scrub that exfoliates away dead skin and other impurities. 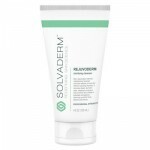 This product is well suited for those with sensitive or acne-prone skin because it doesn’t use any abrasive ingredients that can cause dryness or irritation. Instead, this powdery cleanser purifies the pores and even prevents stubborn black heads from forming on the skin. For best results, apply the allotted amount of Sensai Silk Peeling Powder that the dispenser provides into damp hands. Mix the product together with water until it creates a foam. 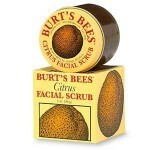 Gently apply the mixture to your skin in small, circular motions. Rinse the product away with water and follow up with your preferred serums and moisturizers. This product may be used during your morning or evening skincare routines up to three times per week. Be sure to use sunscreen to prevent damage to the skin. Sensai Silk Peeling Powder retails for $57.00 per 1.4 oz. of product, however, it’s difficult to find this product on any reputable websites. It may have been reformulated or discontinued. An ingredient list for this product is not available. This enzyme cleanser eats away at dead skin and impurities. This product has a dispenser that produces the perfect amount of powder cleanser for each use. 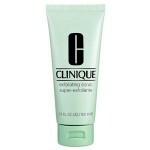 This cleanser treats current breakouts and prevents new ones from forming, including blackheads. The application process for this product is a bit finicky and can be difficult to apply in the shower. This product is difficult to track down on any reputable websites. A full ingredient list is not available. Sensai Silk Peeling Powder is an exfoliating cleansing powder that turns into a foam. 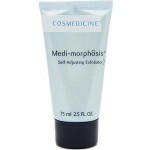 It deeply penetrates the skin and treats breakouts. Although this may sound like the perfect, gentle cleanser for your acne-prone skin, there are several issues we’d like to address before you consider purchasing. The first issue with this product is the lack of availability. It’s difficult to find this product for sale on any reputable, well-known sites. The main issue with this is the fact that this product may be past its expiration date or may have been tampered with. It’s simply not worth the risk ordering from these sites. We’d recommend continuing your search for a gentle cleanser that’s widely available on reputable sites. Sensai Silk Peeling Powder is sold on several sites that are not very well known. It is possible that this product has been discontinued. If you do manage to find this product for sale online, be sure to contact the individual distributor to determine whether or not this product comes with any type of money back guarantee.